With Samsung’s Galaxy S5 release in global markets this 11th, the anticipation of the next big smartphone from Samsung has already started. Samsung’s monstrous Galaxy Note 3 received quite a raving reviews last year and pleased many a users who were looking for bigger screen sizes. This year other flagships like Galaxy S line-up, HTC One, and reportedly Apple’s next iPhone too have aimed for larger screen sizes. With expectations getting higher and difference margin between Note’s specialty and other smartphones, it is yet to be seen what Note brings up its sleeves this season. 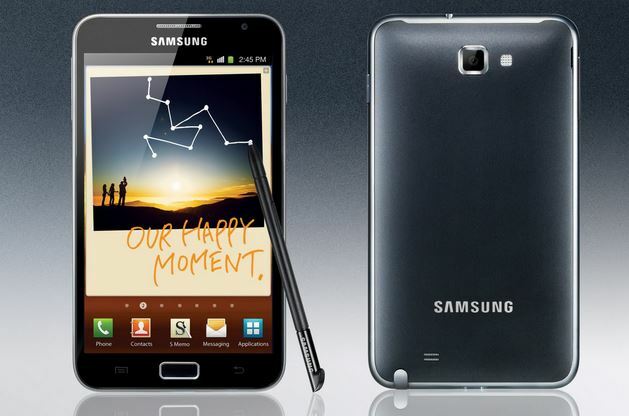 Samsung’s smartphonish tablet (or phablet) Galaxy Note 4 specs can be drawn out by looking at this year’s S flagship. Samsung Galaxy S5 is here and like the previous years, Note is also expected to carry similar features. The latest Galaxy Note 4 leaks suggest that Samsung Galaxy Note 4 will feature a 2K display screen of 2560 x 1440 resolution which will exceed Galaxy S5’s 1920 x 1080 screen. While this Galaxy Note 4 leaks document suggest the idea of a 4K display too, it is highly unexpected at the moment. Samsung’s Galaxy Note 4 is expected to release in September; so we have quite a few months to gather along the way all the leaks, speculations, and expectations to draw up what the Note this will look like. Let’s hope Galaxy Note 4 does not prove to be another heavily-guarded flagship by Samsung with little to no solid information until the day of launch.